If you are thinking about adopting an alternative project management methodology, consider Agile methodology. Agile Methodology, mostly used in software development, enables working teams to work in various environments that require evolved solutions and organisation systems. It is ideal for teams that are working towards a common goal, but with different functional expertise. Agile methodology promotes adaption, self-organisation and teamwork while still encouraging disciplined processes that other project management processes adhere to. Company goals must align with customer needs, therefore adapting the Agile methodology will enable your team to deliver the best results for fast changing software. Agile methodology lives up to its name sake. Unlike traditional processes, where we veer away from change, this methodology promotes agility. Change in an Agile environment is not just accepted, it is promoted, and rightfully so. With ever changing environments, projects are able to adapt and evolve depending on the situation. 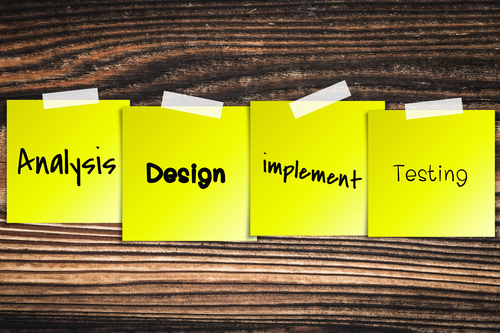 Throughout project processes, Agile methodology tests the development throughout the lifecycle. This promotes the regular inspection of the project. Thus, adjustments can be made if need be and the team can also notice if any quality issues emerge. It is important for all members on a working team to know what is going on with a project throughout the various project stages. Agile encourages small numerous releases during the ever-changing process, thus any issues that may emerge can be identified and dealt with early. The project team has to be vigilant and communicate effectively with each other and stakeholders in the agile development; this promotes clear visibility to what is going on with projects and thus decisions can be made early and safely. The agility of the Agile Methodology allows for a project to embrace change; this enables a team to build the right project that the customer expects. Without changing and evolving, a project may not be exactly what is wanted, thus allowing project flexibility and change will prevent an unsuccessful product. When a team works together to deliver valuable work and quality projects, their morale increases, thus they feel more motivated within their team. Political dysfunctions and project transparency reduces a lot of pressure. The working team is more connected as they all have an influence within the team when it comes to planning throughout a project and taking responsibility for their role in the team. All people involved in a project have real-time access to the status of all projects. Without the need for timely updates, all members are able to see what is happening when they want. The methodology makes use of task boards that provides visible information that members are able to interactively change; this encourages active user involvement throughout the various phases of the project and project visibility. Throughout a project, there is an active involvement of everyone working on the project. The project is able to be adjusted and changed to satisfy the customer. Most market leaders in various sectors were first to bring their product or idea to the market. It is absolutely crucial to keep up with the ever-changing, fast-paced economy. Agile encourages early releases followed by regular releases. The Agile environment is a more energetic and enjoyable as members on the team are actively involved in the project and are constantly able to be innovative. So, instead of timely reports and lengthy meetings, all progress is tracked on a task board and the team is able to collaborate to make decisions.